A walk in the forest improves the mood. Researchers from University of South Carolina, Chile’s Externado University, and Peru’s Centrum-Catolica School point out that it also can help maintain the physical health of shoppers like senior citizens. The researchers then go on to apply the concept to the architecture of retail spaces. The researchers call this approach biophilia design. Plants in a forest generate phytoncides, which protect them from disease. When people breathe in phytoncides, the immune system is similarly activated. Also, streams, waterfalls and other running water in a forest produce an abundance of negative ions, and negative ions have beneficial effects on emotional and physical health. Negative ions clear the air of pollen, smoke, and dust by binding with them. Blood pressure, heart rate, and muscle tension ease, while the abilities to focus attention and solve challenging problems increase. Although few consumers these days spend the majority of their hours communing with nature, we all retain an inborn urge to take a walk in the forest or spend time in such natural settings. You might very well choose not to sacrifice shelving and rack space to install a healing garden. But you can work with your neighborhood retailers to introduce more nature into the area. Dwell time is enhanced by creating plazas where people can gather and decorative streets where they can stroll. You also could incorporate live plants into your store interior. Researchers at Vrije Universiteit Brussel and University of Leuven explored the effects on shoppers of adding vegetation. The strongest difference was in areas that were somewhat crowded with merchandise, had high traffic, or were visually busy. Here, the plants reduced stress. The sense of pleasure reported by the shoppers was more calmness than excitement. This is of special value when serving senior citizen customers. Natural elements improve the mood of the retail employees, too, reinforcing the patience and attention useful in selling to a senior citizen clientele. Imagine that you are entering a nearby store in the mall and see a brand new pair of your favorite brand of pants (retail price new $60) that fit you just right. Imagine that you are entering a nearby secondhand store and see a pair of your favorite brand of pants (retail price new $60), worn briefly by another person, that fit you just right. Imagine that you are entering a nearby secondhand store and see a pair of your favorite brand of pants (retail price new $60), worn briefly by another person, that fit you just right. They have been tested and certified by the American Garment Association as completely cleaned and sterilized, just like brand new. The participants were then asked a series of questions about their perceptions of the pants. What is your educated guess as to which of the three groups gave the least favorable ratings? Did the reassurance that the pants had been certified as clean remove any concerns about contamination? The answer is that it did not. The least favorable rating of the pants came from the third group. Describing the testing procedure generated increased doubts because it led the consumers to think more about how the pants had been used, even if briefly. The difference in desirability ratings between the second and third groups was almost as great as the difference in ratings between the first and second groups. What could have been intended as well-timed reassurance had the opposite influence. Other research strengthens the case for properly timing reassurance to customers. Shoppers usually want specifications rather than reassurance prior to completing the purchase. Right after the purchase they appreciate hearing that they made a good decision, but it’s best received when the reassurance is general in tone. At this same time, asking the shopper what led them to choose one alternative over the others helps them reassure themselves. Then when the customer returns to your store later or contacts you to place a telephone or ecommerce order, deliver a different sort of reassurance about their prior purchase: Emphasize cause and effect. Point out to them how what they obtained from you generated benefits important to them. An influential marketing point when selling to older adults is the opportunity for companionship during the transactions and consumption experiences. The pinnacle of companionship is a successful marriage. Researchers at University of British Columbia and Germany’s Humboldt University say that such pairings enhance the quality of senior citizen consumer outcomes beyond just someone to socialize with. Although the gains of shopping with a partner are seen at all ages, those advantages are greatest on average with older adults, who generally show more affection toward each other and interpret each other’s behavior more favorably than is the case with middle-aged couples. Loving couples create a positive emotional climate for each other and have specifically been found to ease shopping anxiety arising around fears of ineptitude. A spouse who is cautious helps steer a cognitively impaired older shopper away from rash decisions. Even when both people are sharp, tightwads—who recognize they should be more willing to spend money—tend to marry spendthrifts—who recognize they should be more cautious in spending. Health care professionals are wise to enroll the spouse in planning and implementation. When this was done with diabetes and prostatectomy patients, the recommendations for physical activity were more likely to be carried out. When wives were asked to stay alert for signs of trouble in husbands who had skin cancer, the patient skin self-examination rate climbed. It works prior to the treatment, too. Evidence is that a hand massage by a mate before cataract surgery will reduce excessive blood pressure and self-reported anxiety. 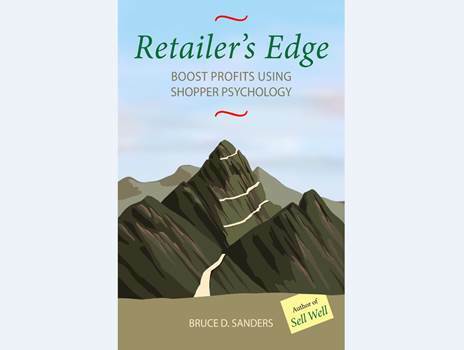 The researchers did find circumstances where a retailer is better off selling to a senior without a partner present because the shopper considers the help from the partner to be overly intrusive. Still, when a couple is older, whatever help is given is more likely to be valuable because the probability is greater they’ve shared a significant portion of their life histories with each other. Your customers who hold politically conservative opinions are less likely to go public with complaints about your store and the products you carry than are the political liberals. They’re also less likely to argue with you about the suggestions you make for resolution when they do complain. This finding from researchers at University of Sydney is in one article that’s part of a noticeable uptick in professional journal publications about the influence of political affiliation on consumer behavior, an uptick I think is due largely to surprise over the election of Donald Trump as U.S. president and a perception of increased tribalism. In many circumstances, you’d want to surface complaints from your shoppers, since unknown dissatisfactions can sabotage customer relationships. But the situation is different in this case. The relatively lower tendency to complain among political conservatives appears to be due to two related factors: First, their desire to justify existing business systems rather than challenge them. Second, a comfort with power inequalities in society. Thus, there’s less chance that unstated, but deeply felt, complaints are lurking. There’s less need for you to probe. Liberals pay more attention than do conservatives to the logical and emotional quality of a sales argument, while conservatives pay relatively more attention to the reputation of the argument source. In marketing to conservatives, highlight the concepts of tradition, conformity, security, power, and materialism. With liberals, highlight harmony, benevolence, universalism, and egalitarianism. Such findings could be useful when you’ve evidence the community in which you do business is primarily conservative or primarily liberal. The findings also could be useful in predicting preferences of your shoppers based on preferences you’ve already observed. But don’t oversimplify. Some behaviors depend on stereotypes and surroundings: One study found that conservatives are more likely to contribute to a cause when thinking their contributions will become known to a liberal, rather than conservative, audience. The study’s researchers, at Saint Louis University, University of Illinois-Urbana/Champaign, Pennsylvania State University, and University of Minnesota, explain this by saying that conservatives are motivated by a desire to disprove widespread impressions that liberals are more generous. Senior citizen consumers to a greater extent than do younger consumers come to depend on aids like maps, schedules, and shopping lists to successfully navigate through the marketplace. As the brain ages, both the ability to retrieve recently learned material and the ability to dampen interference from irrelevant memories fade at least somewhat. Along with this, there’s deterioration in the portions of the brain which help us identify where we are in our neighborhood and how to move to a desired location. The result is increased probability of confusion. Neuropsychologists talk about this in terms of brain plasticity, which refers to the ability of the brain to physically change as a result of learning, and brain flexibility, which refers to the ability of the brain to use its current physical structure to meet novel challenges by rearranging tasks. Over our lifetimes, brain plasticity decreases faster than does brain flexibility. Seniors can train themselves to compensate for the losses, but the results of such training have more influence on the ability to deal with the familiar than with the new. 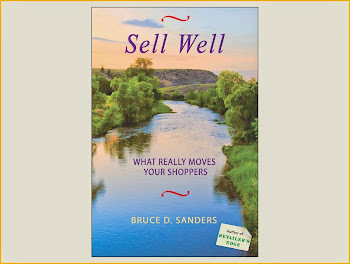 A potential upside of this for the retailer is that older adults build store and brand loyalty since they stay with what they’ve come to know well. However, the marketplace changes because the world is changing, so to maintain clarity for your senior shoppers, provide them the aids. Psychologist Shepherd Ivory Franz, who studied brain plasticity and flexibility, testified to the value of memory aids. Professor Franz was also an amateur ichthyologist who complained that each time he learned the name of another fish, he forgot the name of a fish he’d previously known. This may not have been literally true, but it does seem that for such ichthyologists, a list of fish names would be handy, along with a map of where each species could be found and a schedule of the best times to look. Shopping lists appear to operate differently for older shoppers than for younger ones. Seniors use the lists for guidance. Research at Duke University, UCLA, and University of Florida indicates that younger shoppers carrying around store shopping lists they’ve created in advance—the consumer trying to remember what they need and what the store carries—end up more likely to make purchases they will later regret. Making the list left less mental energy to resist the foolish items. Shoppers expect that, everything else being equal, a larger promotional discount will be offered for a shorter time. Researchers at University of Nevada-Reno and Clemson University saw this effect when presenting a sample of U.S. consumers a range of discounts from 5% to 50% and asking the consumers how many days they’d expect such a promotion to last. The researchers found that for a pair of jeans, the average estimated duration of a 5% discount was about thirty days, while for a 50% discount, it was about three days. The researchers then went on to explore the effects of violating such expectations. What if a high discount percentage is offered for an extended time? What the researchers found is that, unless there is a proper explanation for the violation, shoppers get suspicious of the retailer’s credibility and product quality, with the result that they become less likely to make a purchase from the retailer. This is true even when the perceived incongruity between discount depth and discount duration would result in a better deal for the shopper. But the realities of your business operations dictate that you will indeed sometimes want to violate the expectations of a clean match between promotional discount depth and discount duration. In these cases, establish a match by changing the expectations. Dissolve the suspiciousness by giving an explanation. With a large discount offered over an extended time, maybe it’s an end-of-season sale to clear out merchandise. Maybe your supplier has given you a special price break to build brand awareness, and you’re passing on that price break to your customers. With a small discount offered for only a short time, maybe it’s that you want to compensate for the minor inconvenience of shopping while you’re doing store inventory over the weekend. Research findings indicate that such explanations need to make sense to the consumers as truthful justifications. Otherwise, they’ll increase suspiciousness rather than ease it. When offering the explanations face-to-face, be sensitive to verbal and nonverbal signs of disbelief. And before incorporating the explanations in ads, test out those explanations in face-to-face interactions with customers. The general point is to check that your pricing strategy makes sense to your customers and prospective customers. This is true not just with promotional discounts, but also with your standing prices. Give plausible explanations for price decreases so customers better accept your price increases whenever those become necessary. Educational achievement throughout the course of life bodes well for physical, intellectual, and emotional health late in life. Those with more education adhere better to the diet, medication, and self-care routines helpful in protecting against the diseases of old age. Self-efficacy—the perceived ability to take on challenges—is higher in those with more education, and higher self-efficacy is associated with a sense of well-being. The influence of education on successful aging can even spread beyond the educated individual: Researchers at University of Chicago and Brigham and Women's Hospital found that for those wives who had completed more schooling earlier in life, their husbands were more likely to comply with recommendations to undergo a recommended colonoscopy. Unfortunately, it’s often in the nature of the elderly personality to withdraw from learning. The 65-year-old retiring from employment usually experiences, at least initially, a drop in the desire to learn. Older adults become selective in what they learn, wanting the topics or skills to apply to their current interests, attitudes, and values. Their motivation to solve intellectual challenges depends on how useful that solution is for daily living. Because of the proven value of lifelong learning, there are profitable opportunities for those offering intellectual stimulation which overcomes the withdrawal from learning. OLLI classes and Road Scholar travel tours are examples of group education marketed to senior citizens. ACTIVE and Senior Odyssey are intellectual activities designed to cognitively stimulate the elderly brain, slowing deterioration. Participants in these programs have fewer traffic accidents and higher overall happiness than equivalent older adults not participating in the programs. Certain video games, such as “Rise of Nations,” can motivate the senior citizen to learn. Studying to juggle helps, too. Brain health improved overall among older adults who completed a three-month class in how to juggle a set of balls. Seniors with less education tend toward deal-breaker decisions. Ones with more education tend toward choosing by the numbers. The more vividly product or service benefits are portrayed, the more likely it is the consumer will buy the item. Researchers at Xiamen University, Nanjing University, and Chinese University of Hong Kong find that one way to increase vividness is to get the shopper physically close to the portrayal of the benefits. In their study, undergraduate students were randomly assigned to either the first row or last row of seats while an ad on a screen pitched a computer program claimed to improve people’s ability to concentrate. The ads were designed to stimulate the viewer to imagine the product benefits. Students who had been sitting closer to the screen said their imagination of benefits was more vivid and that they were more confident the product would actually work as claimed. There were no differences between the two groups in reports of how easy the ad was to read, so that didn’t account for the results. Based on their findings, the researchers suggest that ads with verbal descriptions of a product will be more effective when shown on personal devices like phones and tablets than when shown on a billboard or TV. Moreover, face-to-face selling often has a greater proximity than ads, and spoken descriptions can create more vivid imagery than written text. Consider using proximity in other ways, too. Researchers at University of British Columbia and National University of Singapore presented study participants a picture of a facial cream to treat acne and a picture of the product benefit—a smooth face. The researchers found that participant groups shown the two pictures adjacent to each other were more likely to consider the facial cream to be effective than those shown the photos physically separated from each other. Keep in mind that the power of proximity resides in the vividness. Consider how to make your ads perceived at a distance more vivid. University of Michigan researchers presented one of two chewing gum ads to consumers. The first version read “Stimulate your senses.” The other ad mentioned only taste, reading “Long-lasting flavor.” All the study participants then sampled the gum. Those people reading the multiple-sensory version before the sampling gave higher ratings to the flavor of the gum. The researchers found similar advantages with multiple-sensory versus taste-only advertising/sampling of potato chips and popcorn. In your ads and face-to-face selling use phrases which evoke imagination and include or describe colorful, dramatic images. Fewer than 25% of elderly Americans are up-to-date with available vaccination and screening programs known to extend life. There’s evidence that with men a happy marriage boosts participation. Researchers at University of Chicago and Brigham and Women's Hospital used sophisticated statistical tools to tease out relationships between marital bliss and adherence to medical recommendations. Married men were more likely to comply than were unmarried men. If the wife was happy with the relationship, the probability climbed further. So marriage counseling might be seen as one form of preventive health. Because of Baby Boomers’ expectations of value fulfillment in employment and because of economic dislocations, more workers reaching their senior milestones have moved from one job to another over their careers. One important consequence is that many of these workers lack an adequate defined benefit pension or even a defined contribution 401K and IRA. But a countervailing trend is that many seniors are staying in the workforce longer. Persuading seniors to fund a retirement income vehicle is a service to them as well as a source of revenue for pension providers. The most effective method has proven to be default enrollment, where declining to make payroll deduction contributions requires an affirmative opt-out. Scientists at New York University-Stern, Stanford University, and Microsoft Research showed young adults digitally-altered photos of what they’d look like decades later. Those exposed to the photos allocated nearly twice as much to a retirement fund as did young adults not shown the photos. With seniors, all that might be necessary for the motivation is a mirror.